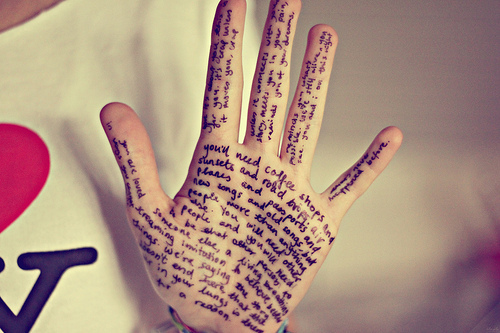 An Artist’s Statement is the artist’s written description of their work. Generally anywhere between 100 and 1000 words, the Artist’s Statement describes the artist’s intentions. It is both descriptive and reflective and shows an understanding of his or her place in the context of art history and theory. Artist’s statements are a relatively recent development and they are used for grant applications, gallery showings, promotional materials. Most art schools incorporate them into their curriculum. The days when the artist can say “My work speaks for itself” are in the past. It’s more rare to see an musician’s artist statement. Composers seem to be more likely to have them than performing artists (pianists). Too many pianists still seem to think “their work speaks for itself.” It’s almost like they think they can throw together a program of Bach, Beethoven, Intermission, Chopin, Ravel and, voila, a piano recital! But many pianists are thinking about what they want to say in their programming and what they want their audiences to take away. I admire Lara Downes not only for her playing, but for her creative programming. Not surprising, she has an artist statement on her website. Doesn’t this last sentence tell you all you need to know? Whether I’m at home in my studio or out on the road, packing or unpacking, doing my scales or doing my laundry, day in and day out, my life is a life in music. Ora Itkin places her artist statement front and center on her website. Then she takes you into her private world with her biography. After reading you can’t help but want to listen to her music. 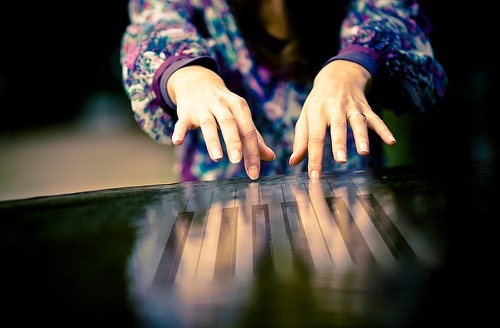 On piano everything starts and ends with the Touch. Search for that sound, that transmits feeling, thought, emotion, imagery, color…even taste. In other words, sound that makes music “alive” is the essence of my interpretation. Similarly, Anderson & Roe has their mission statement prominently displayed on their website. -to make classical music a relevant and powerful force in society. -to connect with others; to engage, provoke, illuminate; to serve as a conduit for the composer’s voice; to express our inner lives; to share the joy and fulfillment that only music can elicit. -to free the world from the constraints of sleep-inducing concerts. It’s been a long time since I’ve written about piano, taught piano, or as a matter of fact, even played piano. But it took another blogger to write a post that inspired me to post again. 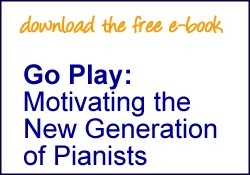 Elissa Milne (pianist, writer, teacher and composer) has written a piano teacher’s manifesto. In the manifesto she lays out the purpose for piano lessons. It is what frames her teaching, her expectations and her composing for students. Every item on the list is spot-on and I find myself wishing I had a copy of this years ago to hand out to parents and students and to hang on the wall as a reminder to myself. Elissa talks about the “cool stuff” students can learn to do at the piano and then moves on to talk about the emotional benefits of piano lessons. You learn to understand yourself better, as well as other people. You begin to understand your place in history. You engage your brain in a way unlike the way you do with any other activity. Perhaps most importantly, you play for the joy you feel when you’re able to share an effortless performance with an engaged audience. 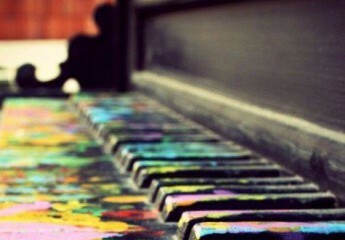 So, in the spirit of finding the joy in piano once again, maybe it’s time to resurrect this blog. Just maybe.